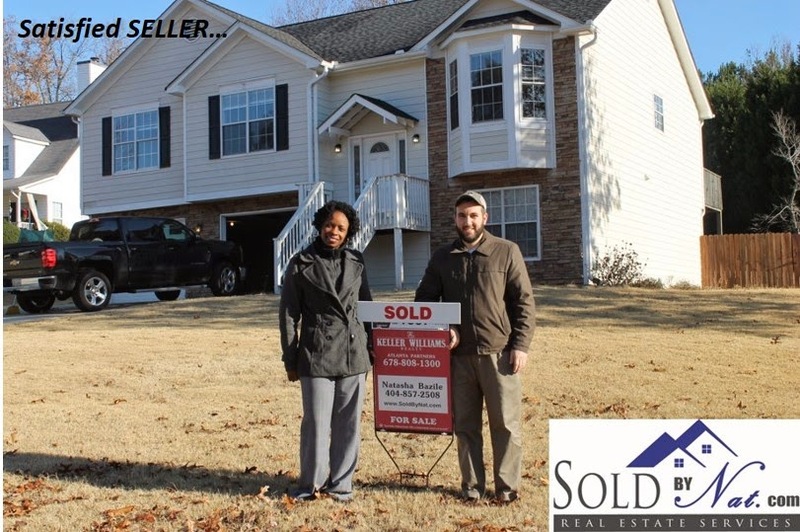 SOLD in Lawrenceville, GA - Cold Weather, HOT Market! 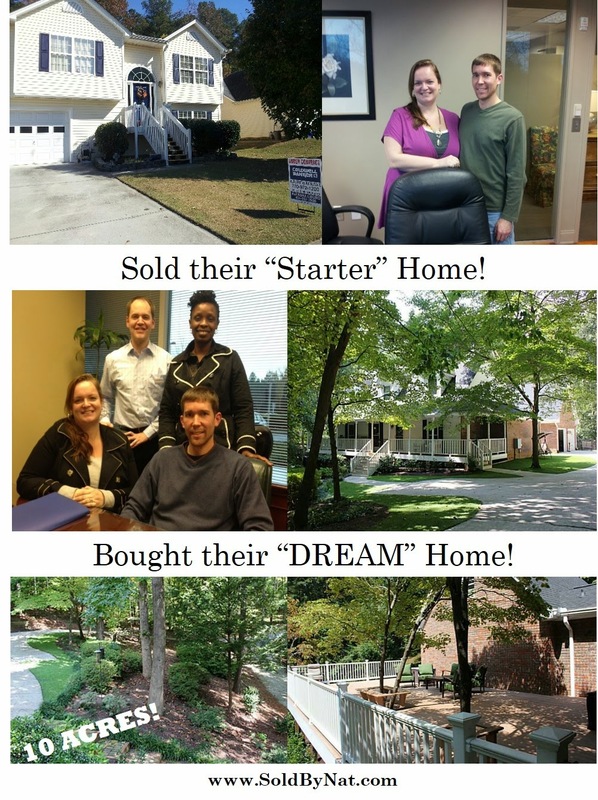 Congratulations to these SMART SELLERS! While most homeowners interested in selling don't want to be bothered during the winter/holidays and are going to wait until the Spring, these sellers made a brilliant decision to do the opposite and it paid off. They were under contract in under 2 weeks and received multiple offer! It may be cold out, but the market is still hot! If you are thinking about SELLING YOUR HOME, here are a few reasons you should not wait until it warms up. In the winter, inventory is lower by an average of 20% and so is competition. In the winter time, people who are searching for a home are serious buyers. How many “tire kickers” do you know who are willing to get out there and search for a home in the cold, rain, wind or snow? In the winter time, the amount of traffic going through a client’s home is much less because there are less people in the market looking. Less inconvenience for families trying to keep the home “perfect” in case of unexpected visitors. In the winter, with inventories being lower, there is a slight shift in who’s in the drivers seat when it comes to contract negotiations, especially with the changing markets. There will likely be less concessions on the part of the seller in the winter. If you want to SELL YOUR HOME or if your home has been sitting stale on the market, give me a call at 404-857-2508 for a FREE Market Analysis. Neighbor Rules 101 - Are you a Nightmare Neighbor? I love my neighborhood of Loganville, Georgia. First of all, I think my subdivision has great curb appeal. Spacious lots, wide streets, homeowners keep up their properties, and the HOA is active. Not to mention I have/had great neighbors! I don't have to go far at all for stores, restaurants, or fresh produce. There are several small businesses, and there is still a mix of city and country. Plus, the city is often putting on events and hosting opportunities for neighbors to get out and mingle. Being that I'm a Realtor and have sold home in many different cities in Georgia, I know everyone doesn't feel as warm as I do about my neighborhood. Being a Realtor has actually given me a better appreciation for it! Prior to getting into real estate, I worked my 9-5, came home, pulled in my garage, and put the door down before I got out. I knew my neighbors to the left and right of me, but that was about it. Can you relate? Becoming a real estate agent gave me the push to become more personable and day-by-day, it becomes more natural. Now, I have a general interest in people and my "wall" has come down significantly. I am now certain that we were not put on this earth to live in our safe "circles". Not that we have to become best friends with everyone we meet, but I believe there is always something I can learn from someone and vice versa. It could be as simple as sharing a smile! So having said that... ARE YOU A GOOD NEIGHBOR? If you'd like to be my neighbor (:o) or if you're just looking to relocate to or from Walton, Gwinnett, or surrounding counties, give me a call! 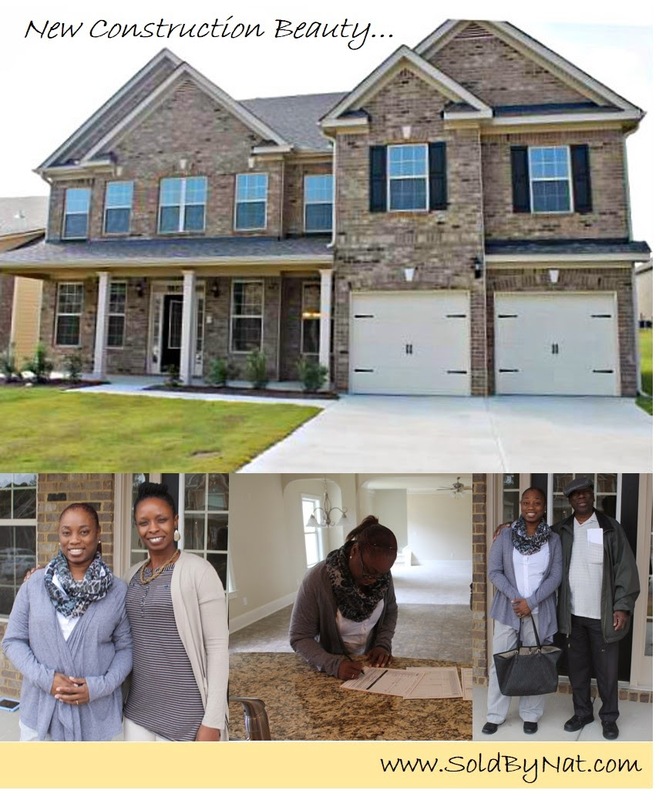 SOLD by Nat in Acworth, GA ~ Buying a New Construction Home - Do I need an agent? Congratulations to my clients on relocating to Georgia and buying this 7 bedroom, 5 full bathroom, 3 story home! I pray their family enjoys this home for many, many years to come. QUESTION: Buying a new construction home - Do I need an agent? ANSWER: The simple answer is YES! WHY: When you are buying ANY home, whether a resale or new construction, you need your own representation. Builder sales reps represent the builder. Often builders have their own agents on site to answer questions, assist people who walk in, and ultimately help with a purchase. Builder reps provide a valuable service: They can explain differences between models and floor plans and share information about financing options, upgrades and specials. But it’s important to remember that builder reps represent the builder, as they are contractually obligated to do. In this case, there were plenty of times the builder and/or their preferred lender sent my clients documents with little explanation. Each time, I was able to walk-through the documents with them and get additional information when needed. Not to mention, being able to calm the storm and ensuring closing stayed on track when the builder unexpectedly delayed the closing my clients had flown in town for. Side-note: Yes, you read that right! The builder delayed closing. 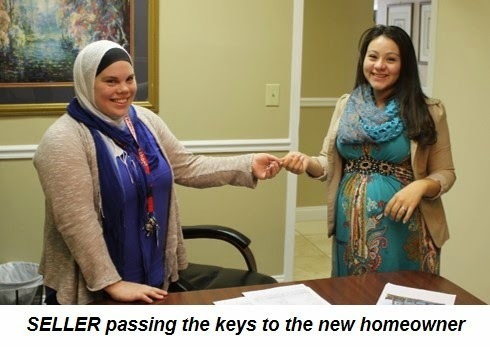 The loan was approved a week prior and the closing attorney had everything needed. The walk-through was completed and the home was ready. Talk about inconvenience... and we never received a legitimate explanation. We were told the builders "systems" went down #blank stare #say what?! #the wonderful world of real estate :-). The good news is that I was able to work out a mail-away closing and today my sweet clients are happy homeowners of this beauty!!! Are you looking to relocate to Georgia and need to purchase a home? Give me a call at 404-857-2508. I'd love to make your home buying goal a reality! The first time we met you was on Labor Day, a holiday, when most offices are closed. We weren't your clients yet, you didn't even know us, and yet you were willing to meet a family of strangers, on a cold and rainy holiday, to go look at a house. From that very first day, you listened to us, you answered thousands of questions, and you were so patient with us. And you pushed us, just enough, to really identify exactly what we wanted, and then to take the steps to get it. We knew we wanted to sell our house… but you helped us sell it over the asking price by advising us about how to de-clutter, what to do with our pets, when to show the home, etc. We had offers on the first day!!! And you understood that our lifestyle - both of us working out of the home 40+ hours per week and having two little kids - meant that we needed calls and visits on the weekends and after the kids' bedtimes. You met with us at 8:30 one night, leaving your family, so that you could help us make decisions about the 11 different offers we got on our current home. Amazing! Then, to top it off, while you were helping us with the selling process (which we had never done before), you also were working on helping us find and buy a new home. You helped us figure out what would work for our family - in terms of size, land, style, location, and price - and then you FOUND IT! Within just a few weeks of looking, you helped us find the perfect property for us. I'll never forget when we were visiting the house (for the third time with you I think) and my daughter asked if we could stay at this house forever because she loved it so much. It’s our dream house! After negotiating the purchase of that home (all while negotiating the sale of our current home) we closed on both homes just days apart and moved into our new house two weeks before Christmas. It’s unbelievable how quickly this all happened, and yet the process was detailed and we never felt rushed or overwhelmed. There are days that we still can't believe this new house, our dream house, is ours! I have so many friends who have had trouble selling and trouble buying, taking years with their realtors to make any progress. But you helped us with the entire process, start to finish, in less than 3 months. Thank you, thank you, thank you, from the bottom of our hearts, for all you have done. We will be forever grateful to you! Click for more CLIENT TESTIMONIALS. If you are thinking about SELLING your home and PURCHASING a new one, give me a call at (404) 857-2508. Talk to you soon!